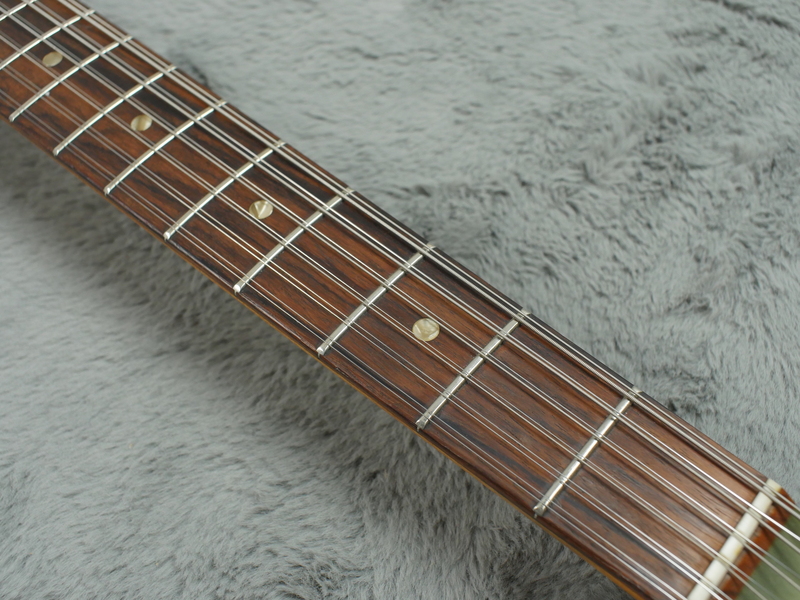 Stunning guitar, not a thing out of place including the factory large frets which are in great condition. 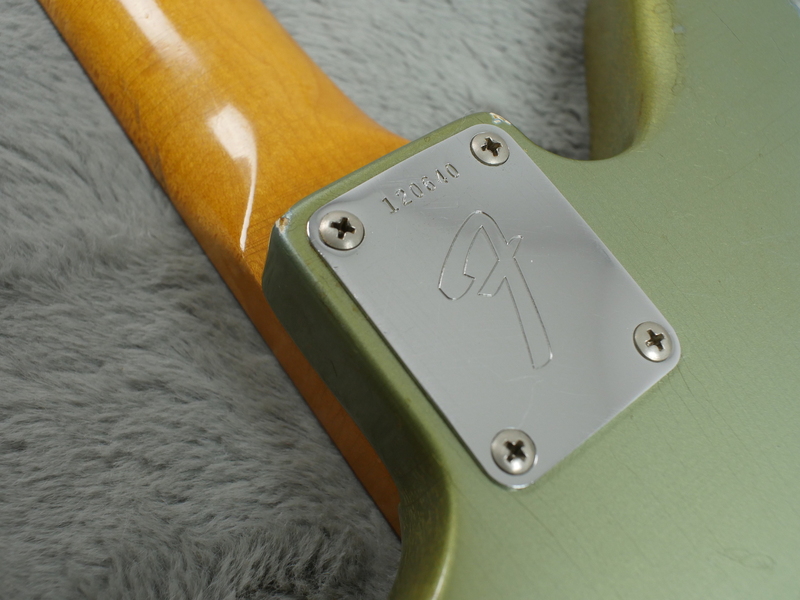 As is the course with Ice Blue Metallic, the nitro clearcoat has turned yellow with age and mixed with the blue to present this really very nice, olive green patina that in our opinion is so cool it should have its own Custom Colour name all to itself. 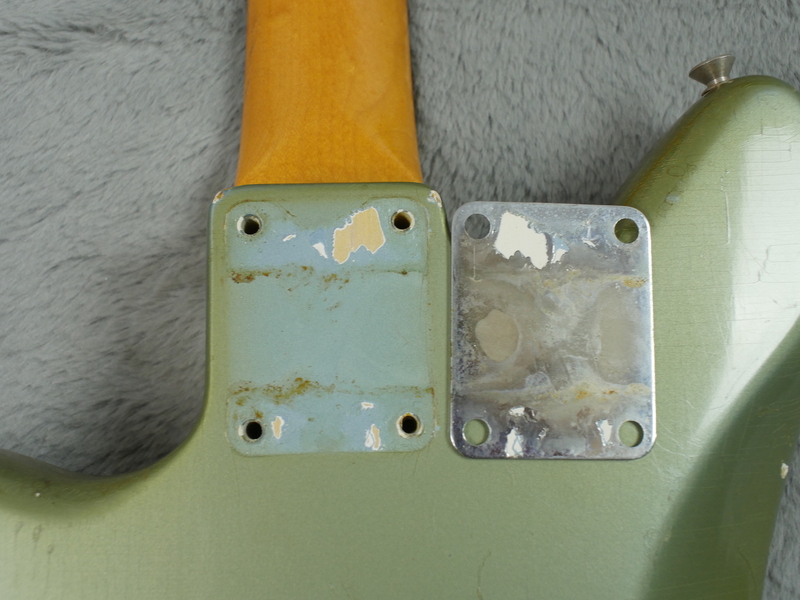 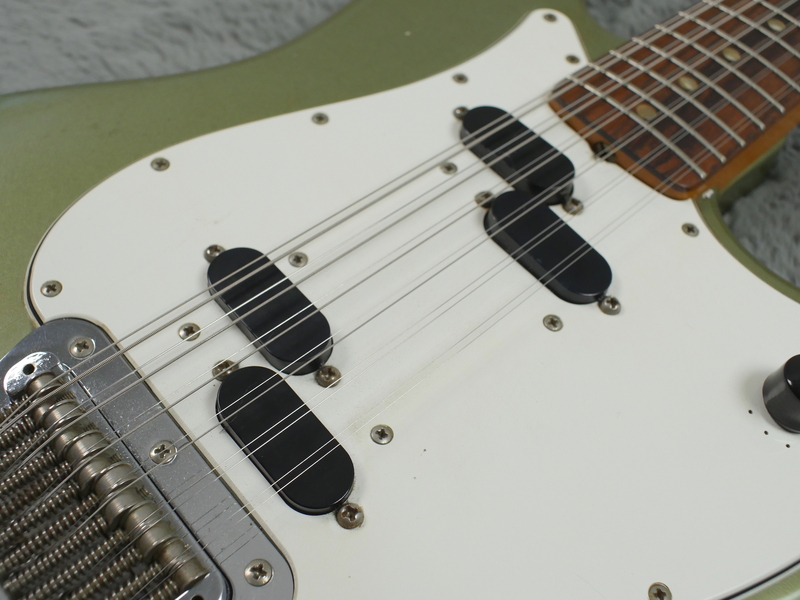 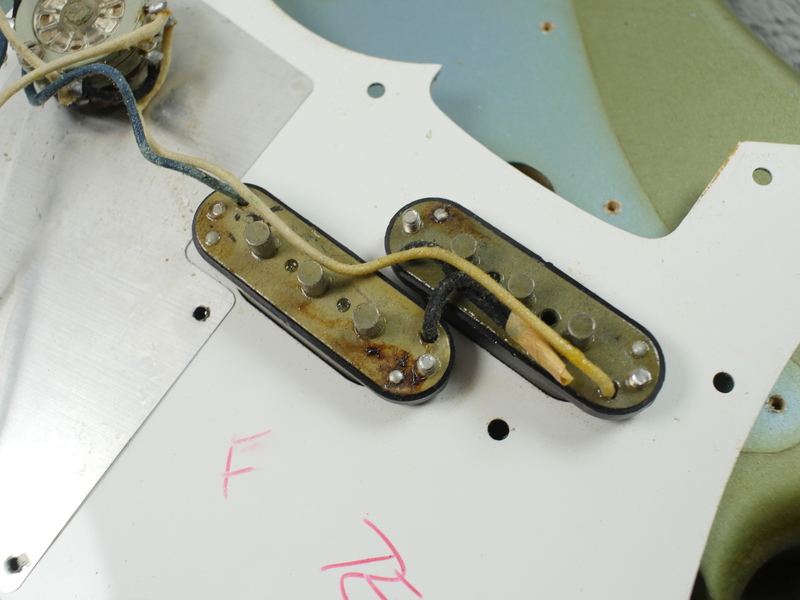 When you remove the pickguard, neck plate etc you can see the original shade of IBM clearly where it has not been exposed to the Sun’s UV rays. 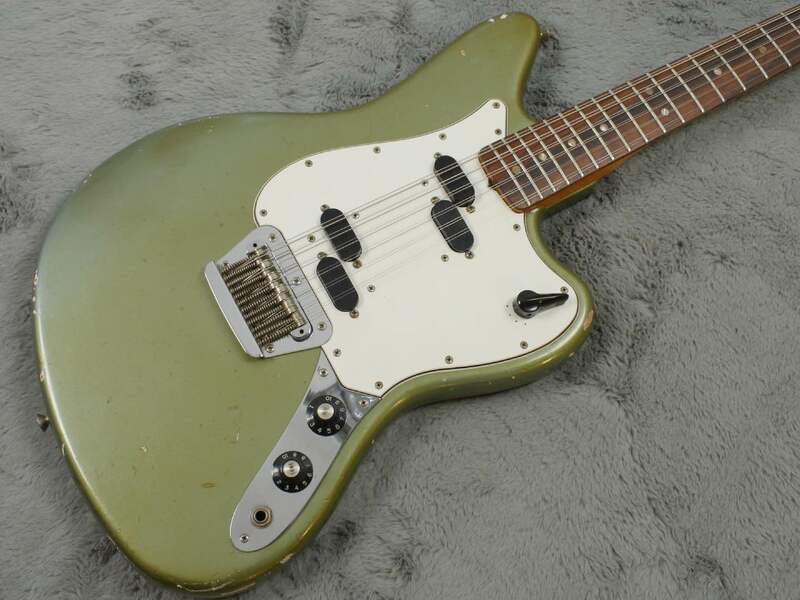 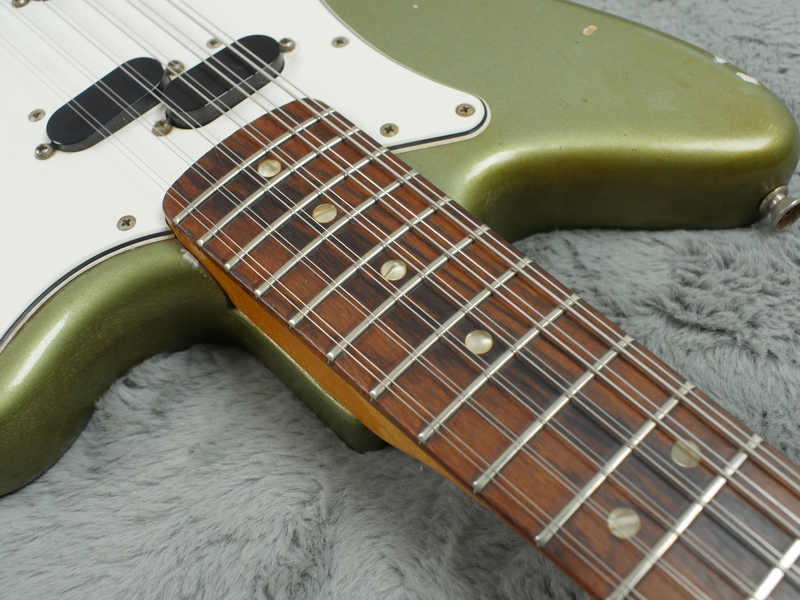 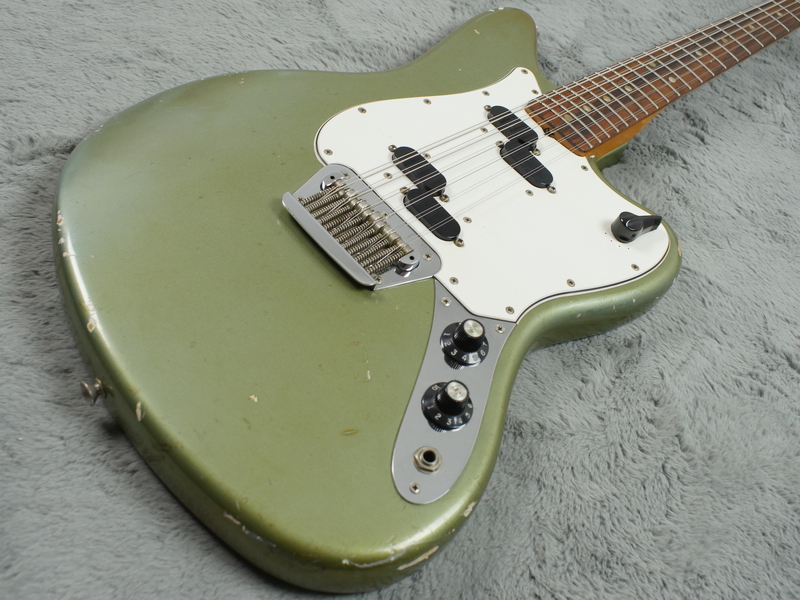 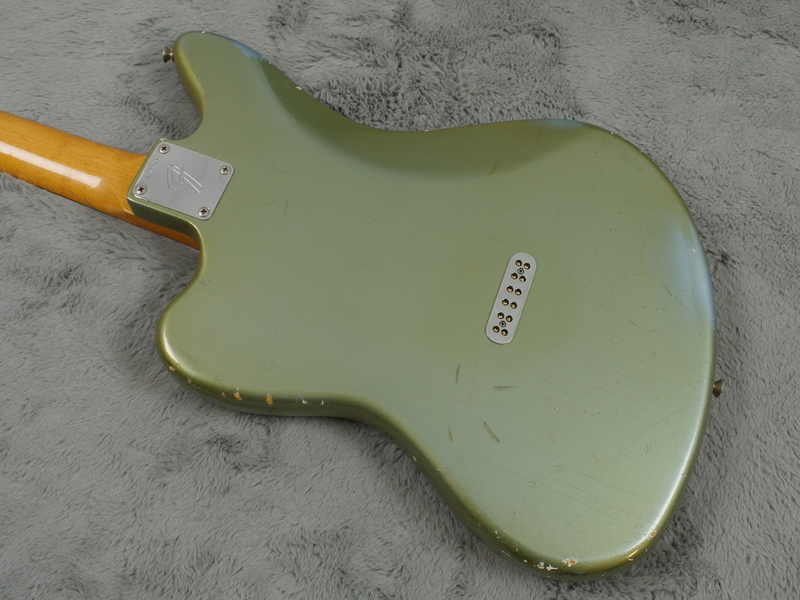 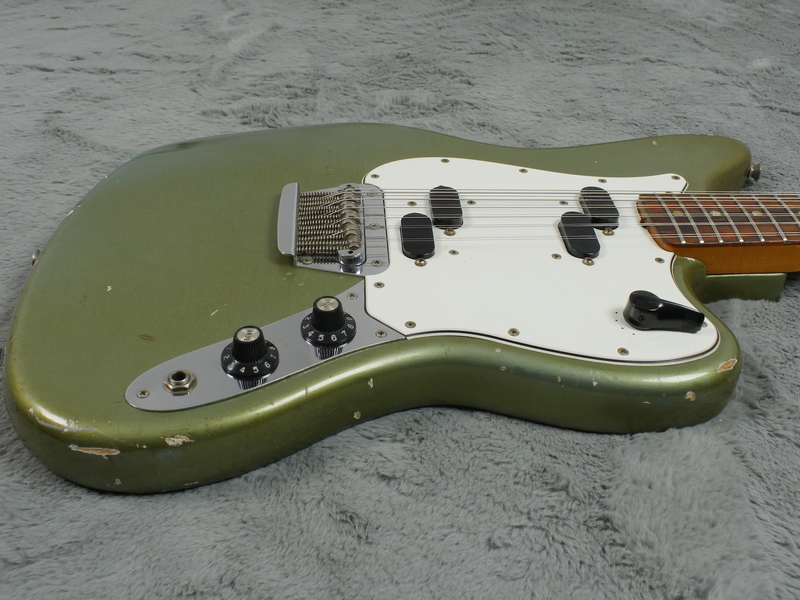 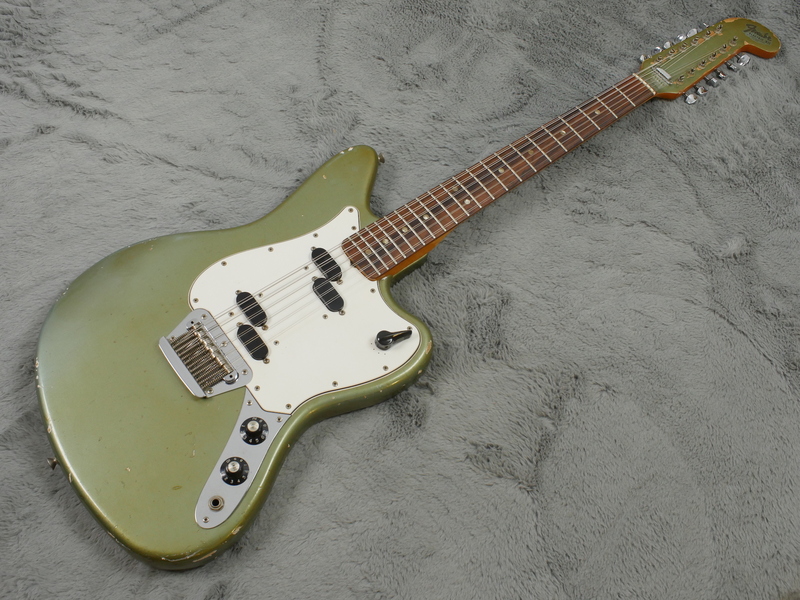 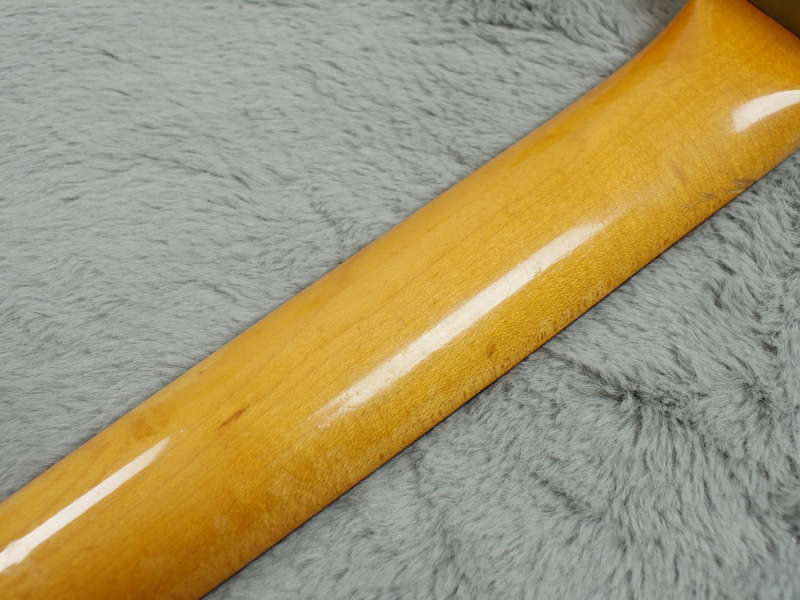 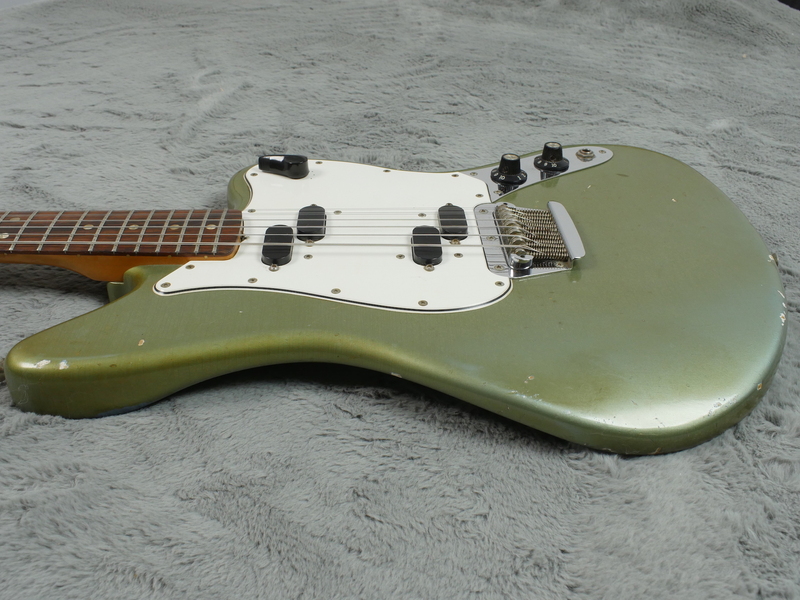 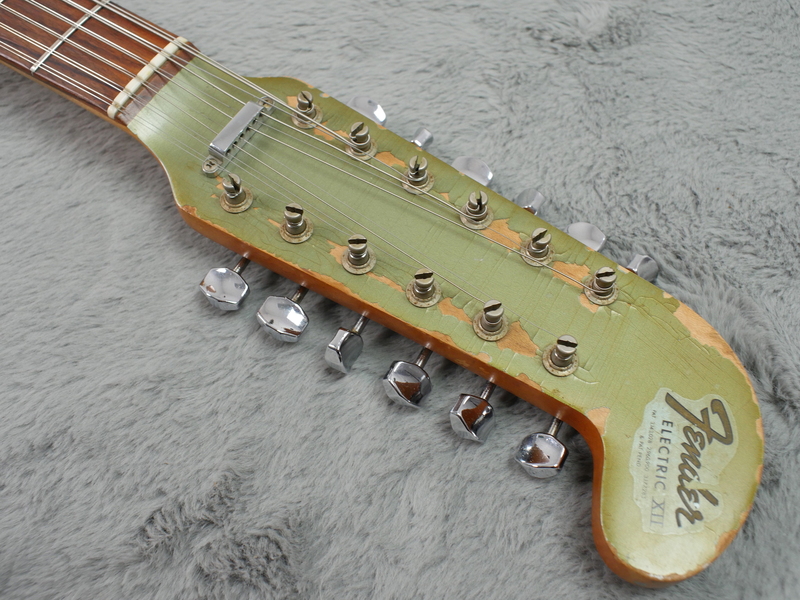 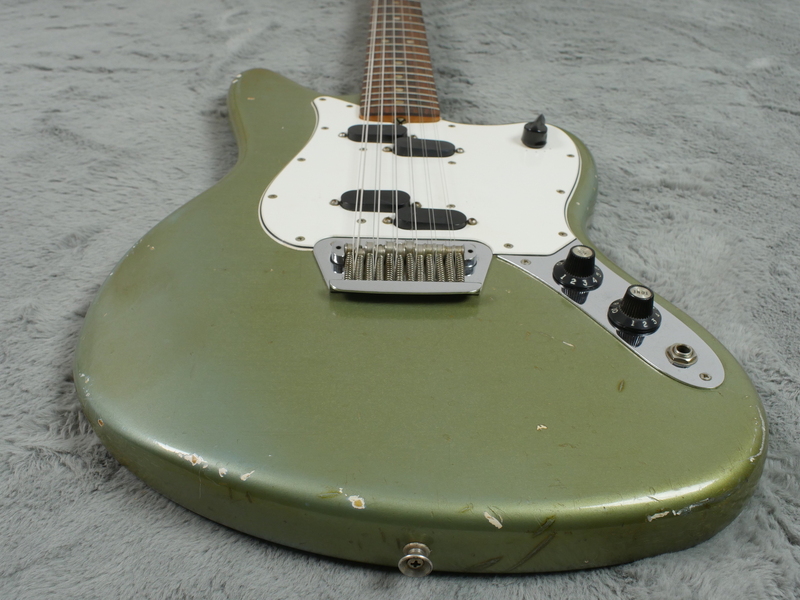 It is also in pretty decent shape, there are a few dings and dongs here and there of course and some paint flaking by the tuners on the front of the matching IBM hockey stick headstock but this all adds to the classic vintage patina of this really rare and desirable Custom Colour Fender. 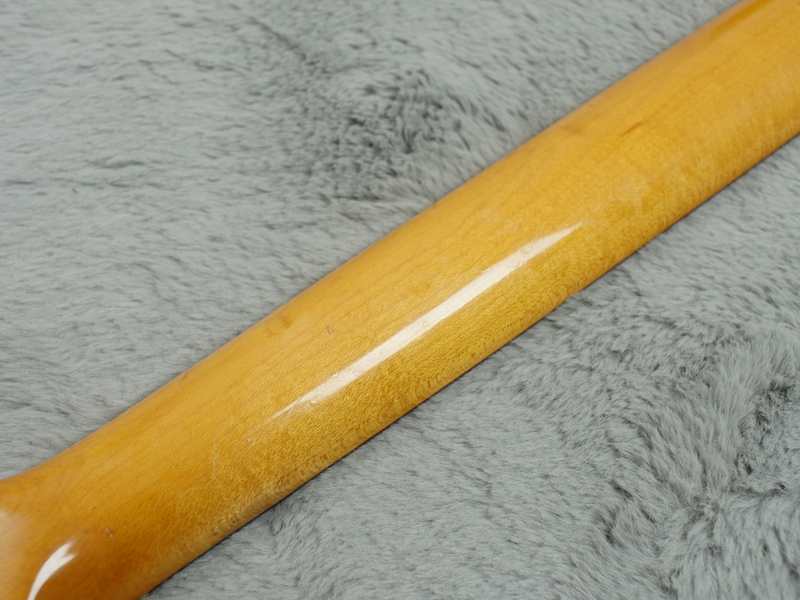 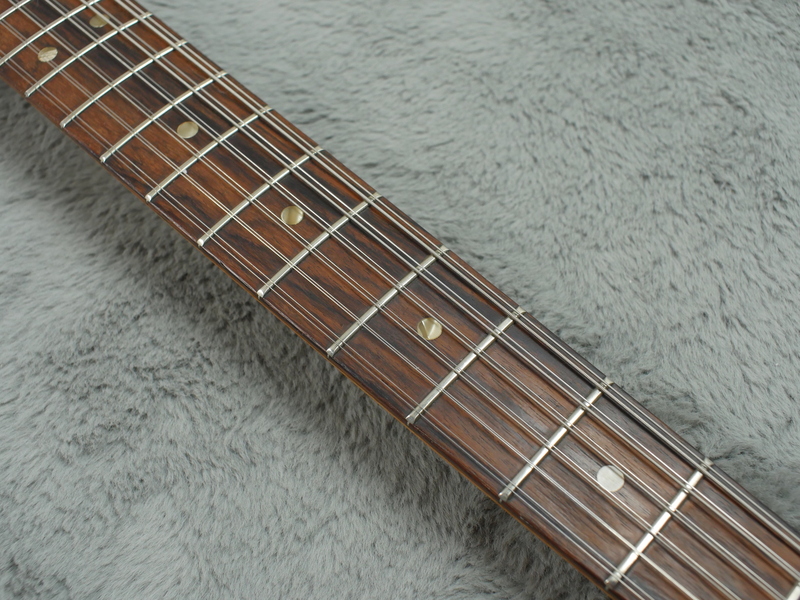 There is little wear on the frets, no wear on the fingerboard and very little wear on the back of the neck. 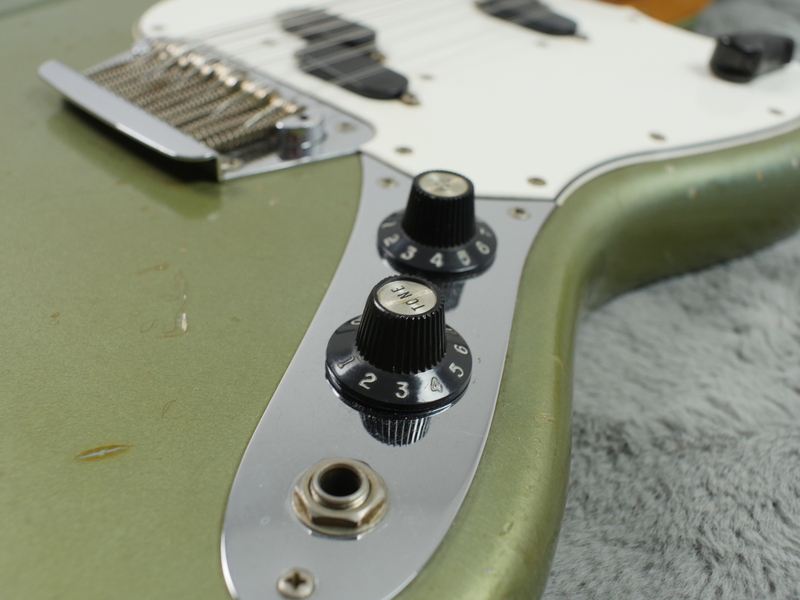 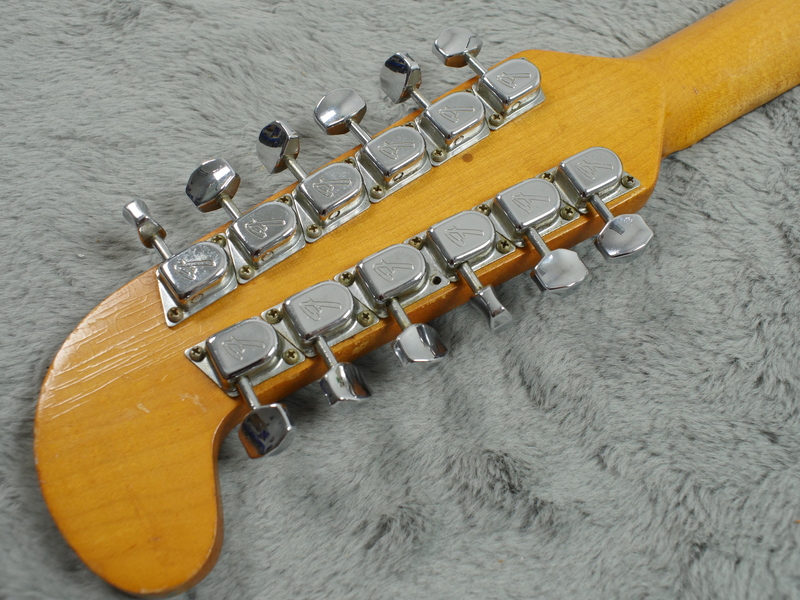 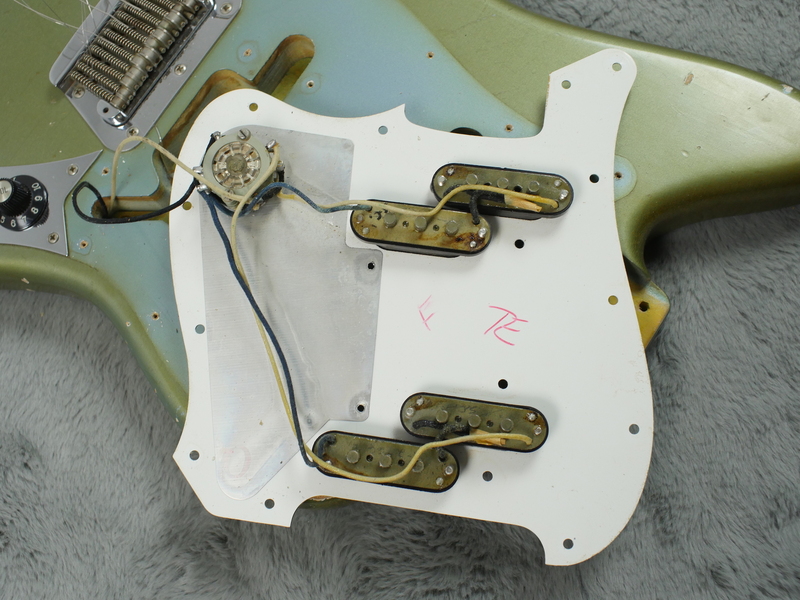 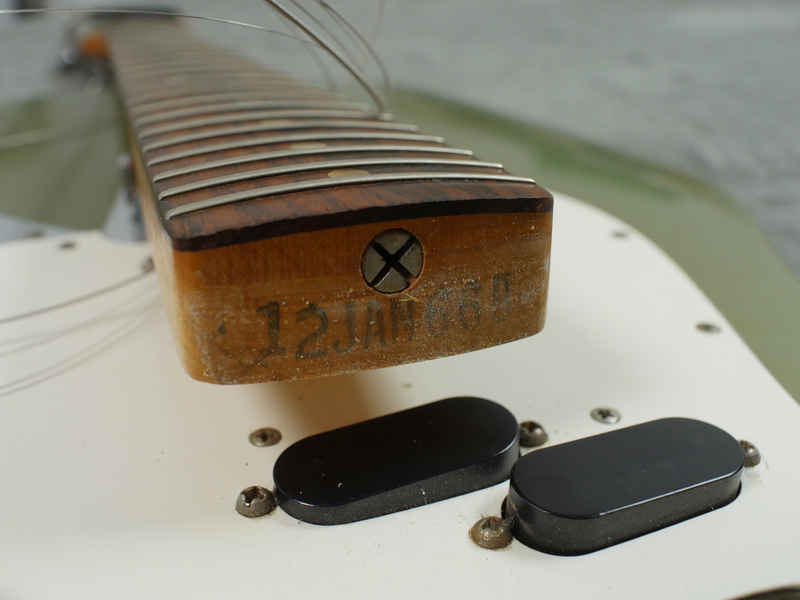 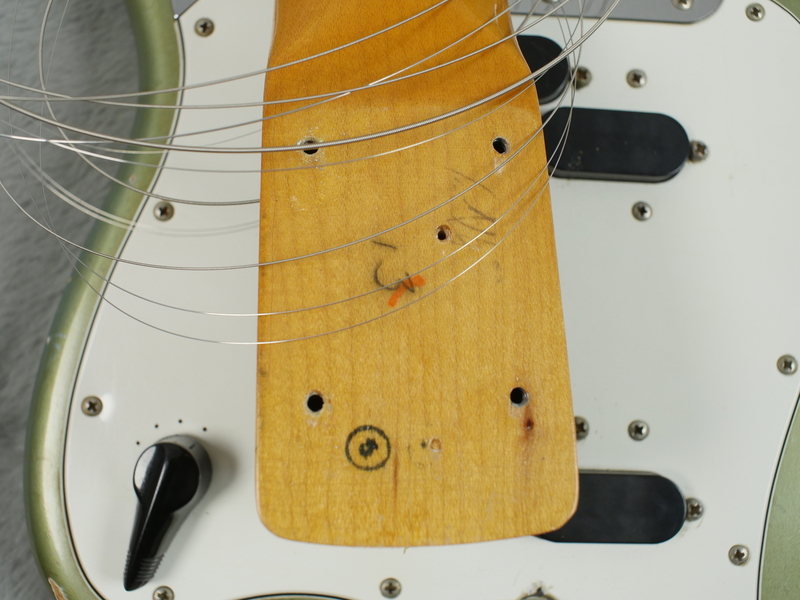 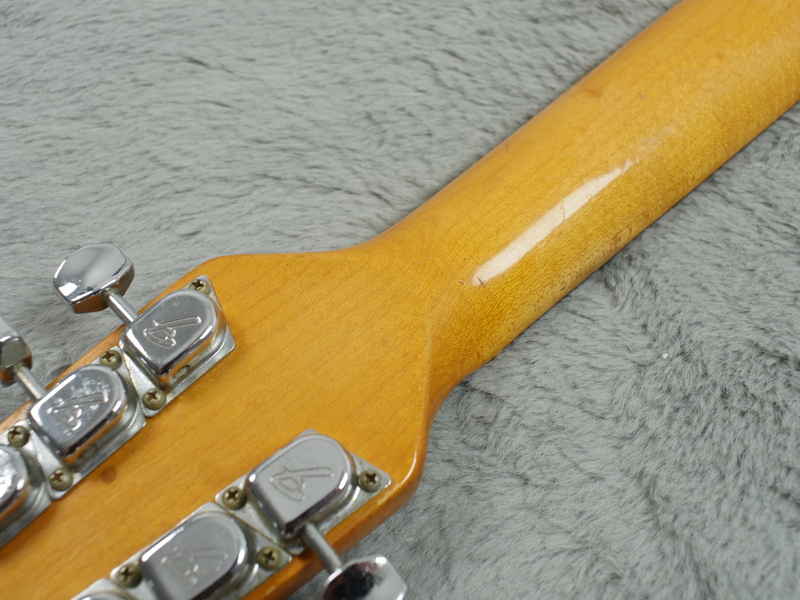 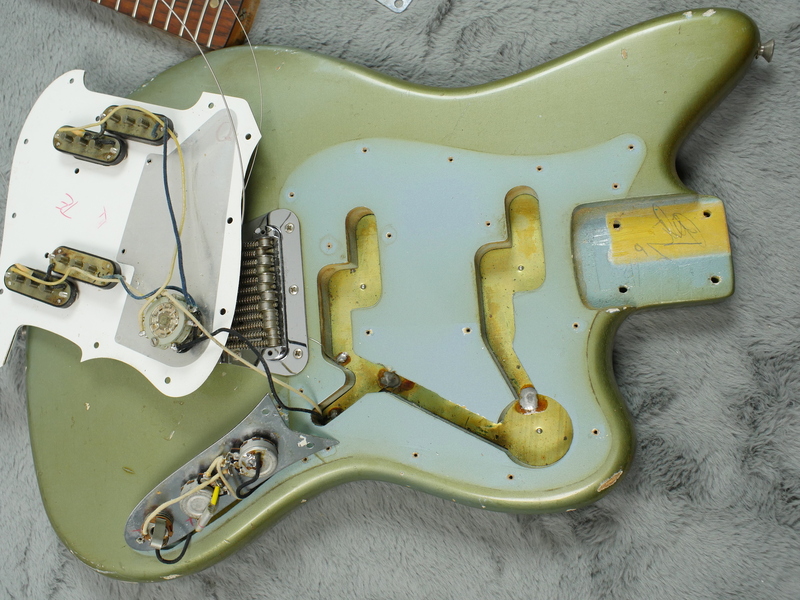 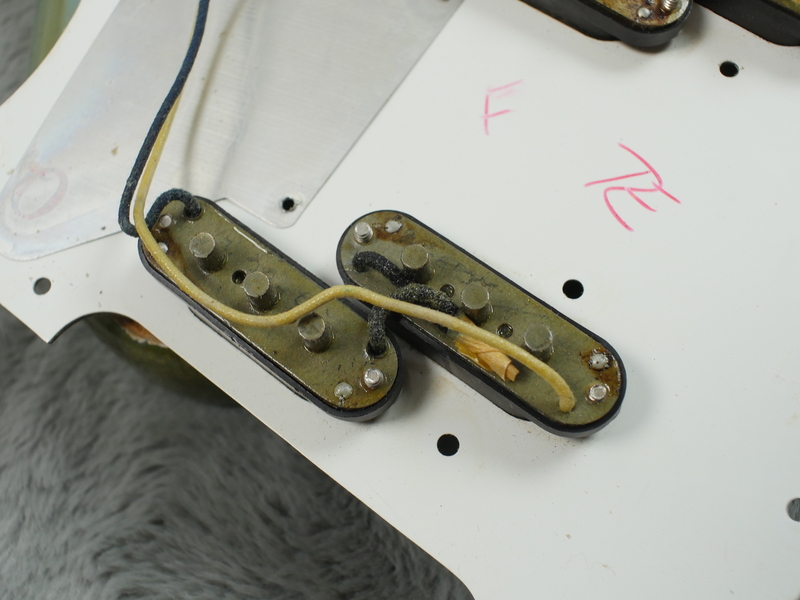 As you can hopefully see from the many internal pictures on our gallery page, it seems to be totally stock inside with no disturbed solder anywhere with a neck date of January 1966. 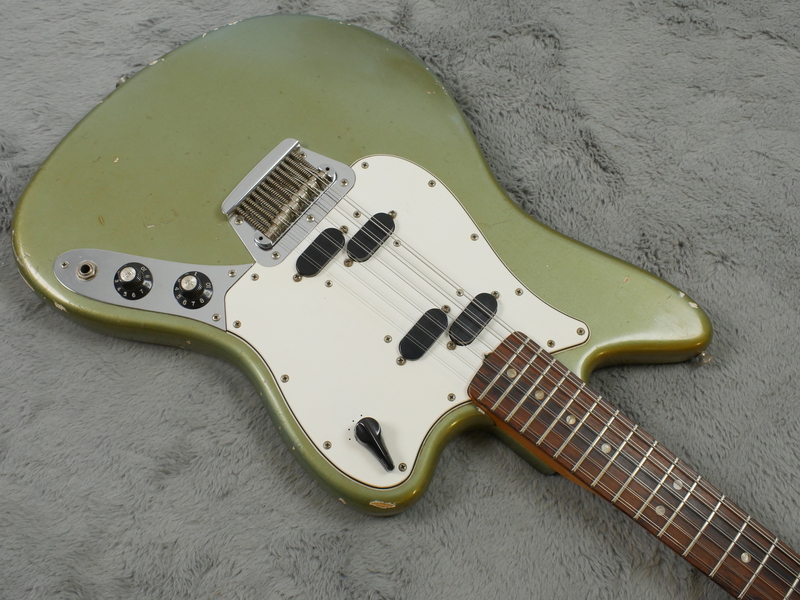 A very early ‘66 build. 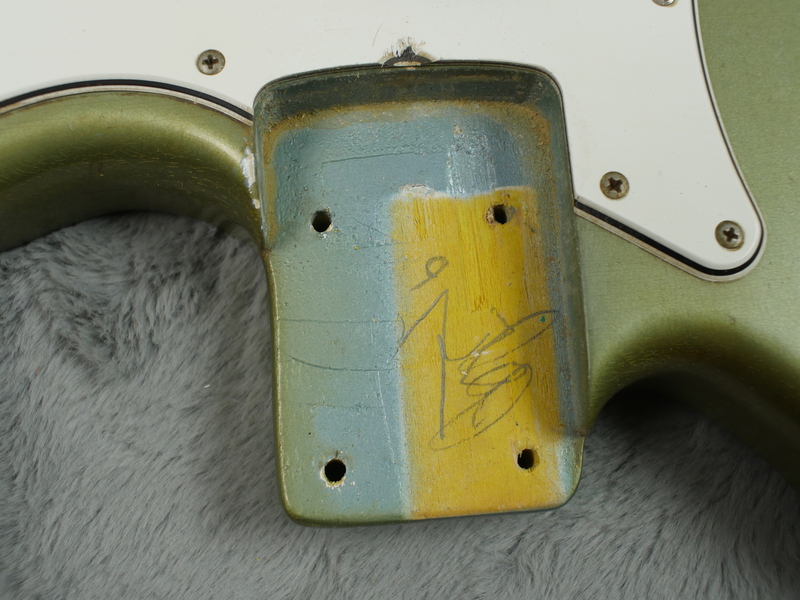 Serial number is early 1966, pots date to 45th date of 1965 and neck date is Jan 1966. 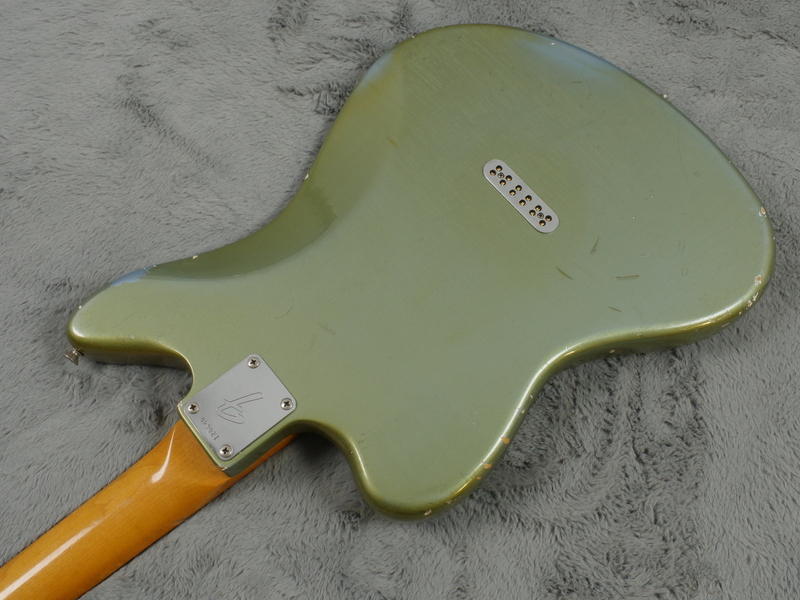 Included is a non original hard shell case. 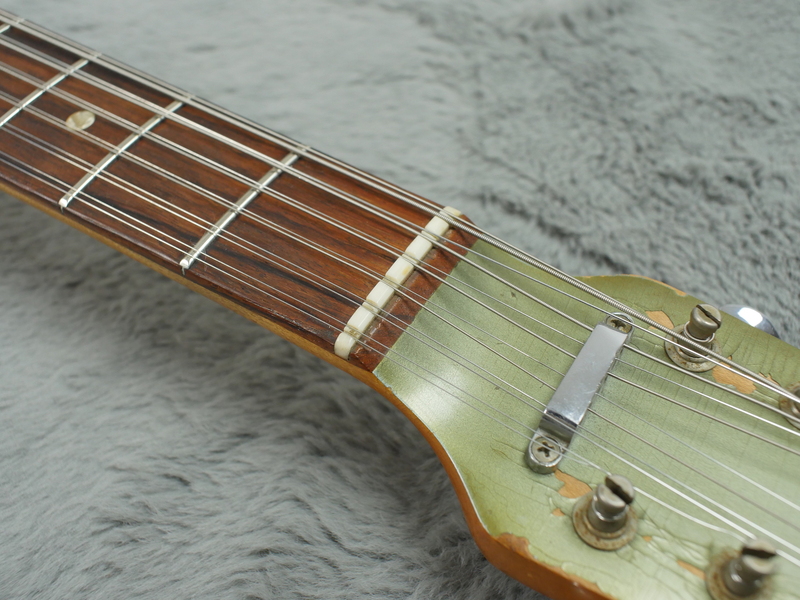 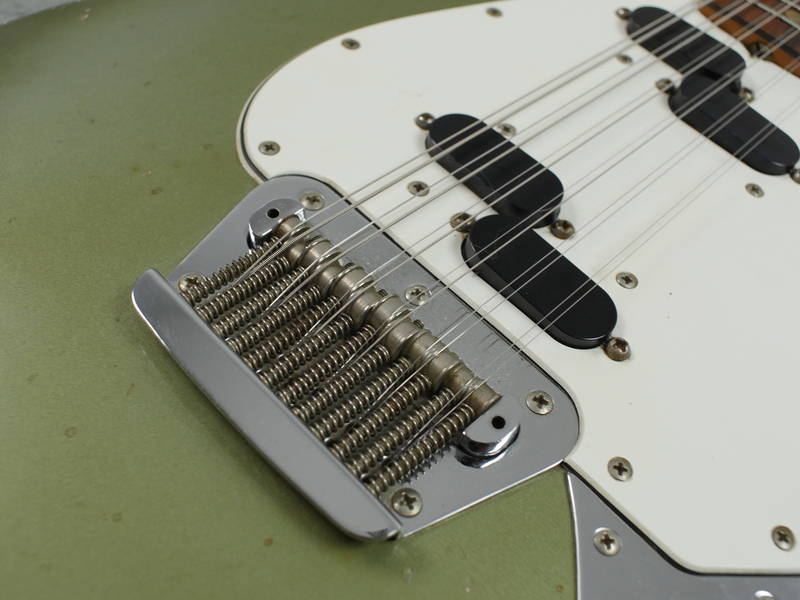 It has a nice low action and does in fact play really well with all pickups being nice and strong with as much chime as the bells of Notre Damme could ever hope for! 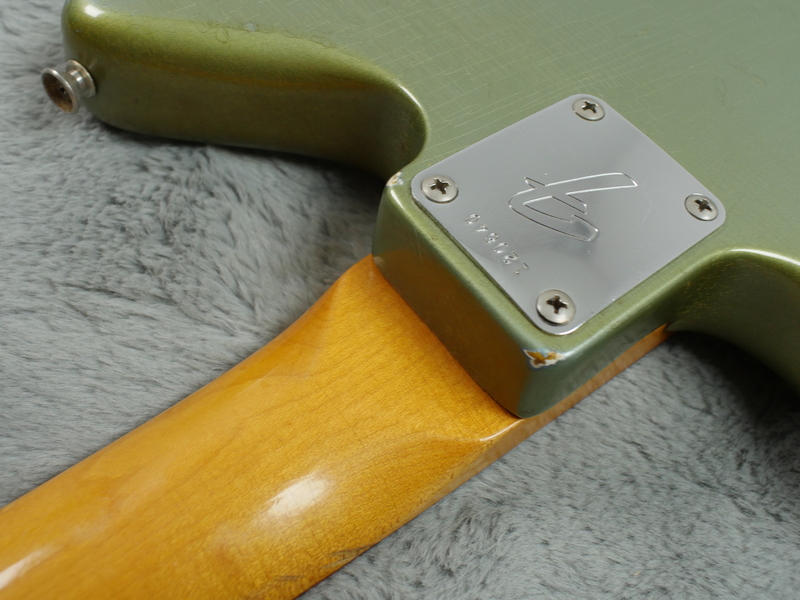 As you are all undoubtedly aware, the Electric XII is the guitar that has featured on many a massive hit by some very well known artists including Stairway to Heaven, The Who’s Tommy, Jeff Beck’s Becks Bolero and many many more. 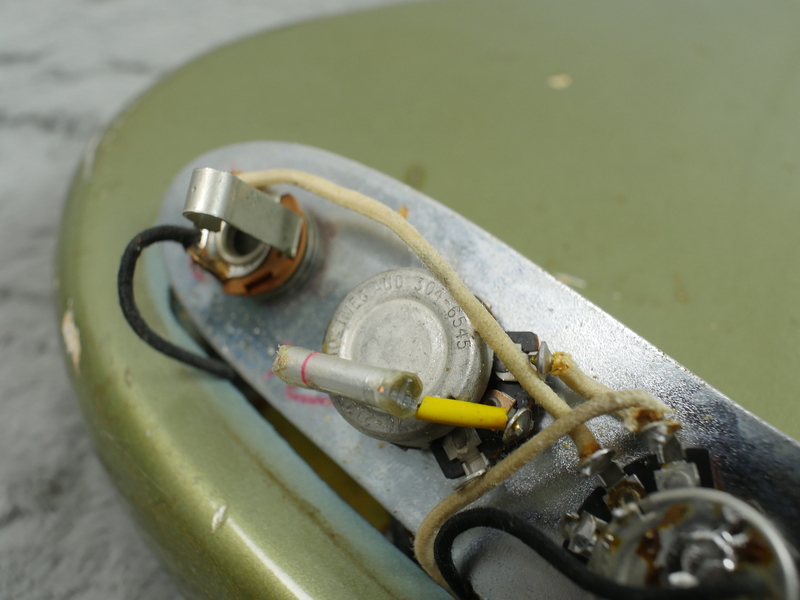 All you have to do is plug this in and you will soon realise why this is..!